It seems that a common trend within the modern transport industry finds more drivers interested in local trucking jobs or routes that get them home more frequently than their over-the-road counterparts. More drivers are becoming concerned about spending time at home with their families as well as those who simply have the preference to not stay out on the road. The industry has also been somewhat reactive to the wants of drivers, realizing the value that many place upon the guarantee of the phrase "home every night." Furthermore, as more small businesses and expansions of existing businesses begin to sprout up over the country, the creation of more localized and short-term routes have the ability to be created. California alone is an excellent example of a network of many localized shifts for drivers. As we enter a new age of trucking, it may not be entirely unlikely that those who ask for daily home time will see their wishes granted. Veterans of the industry may mistakenly believe that the younger generation of drivers and those currently on the road want more local trucking jobs simply because they can't handle the notion of a hard day's work or they refuse to push themselves to the limit by taking on a long haul. The truth of the matter is that it is not laziness that has created the response in asking for local routes, rather, it is the current state of society outside of driving that sees a greater influence for those who are vocal about what they want. 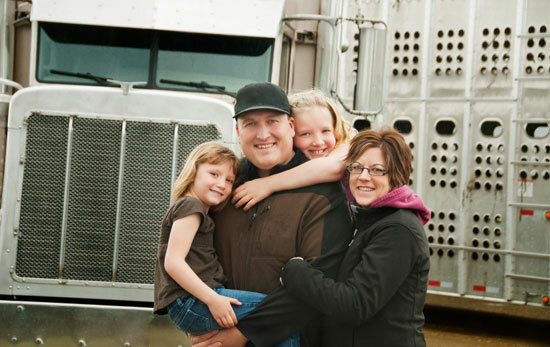 A trucking job that is local helps a driver manage their life and plan for consistency outside of their job. For the driver that has a spouse and children, a family nearby, or even their friends, an over-the-road position rarely offers them the relative consistency they might need to maintain relationships in a healthy manner. Pressures from external relationships are certainly one factor, but local trucking jobs are also appealing to the younger generation who have other commitments in their lives such as making music, going to the gym, or pursuing an artistic endeavor in addition to trucking. Personal development is an important item for those who have recently entered the driving scene, even if it is something as simple as keeping up on fantasy football. Local driving isn't the current group of drivers saying, "We won't do the work." Rather, it is the current crop drivers saying, "Can we do the work and also live our lives?" Are Local Jobs In Greater Demand or Supply? Though a truck driving job where one gets home every day may be appealing to many, some drivers may wonder how many the industry can possibly offer. With over 3.5 million drivers in the country, it seems impossible that the amount of positions available could come close to what drivers are currently demanding. One might be surprised at the relatively large amount of local jobs one might find in their area, especially if they are searching in a traditional trucking state like Texas, or an area in the Midwest such as Illinois. Hundreds of Thousands of local trucking jobs exist, and part of this is due once again to external market factors that impact the industry. For example, the proliferation of services like Amazon and Wal-Mart who guarantee nearly instant deliveries has not only changed the game in terms of retail, but it demands that those who provide commercial transportation stay on the same page. If the shipper becomes quick and provides a two-day delivery window, a transportation provider must also meet or exceed this expectation. This, in turn, sees more local trucking jobs being created, with shipments from centralized hubs going out to neighborhoods across America. The online sector isn't the only variable in more trucking jobs being created at a local level – a growing population in the U.S. also sees job creation for truckers. More people ultimately means more needs to be met, and generally speaking these needs must be met quickly. Brick and mortar locations and expansions see more options for consumers, as well as more options for the drivers themselves. In many ways, the demand and supply for short hauls have reached somewhat of an equilibrium, with an ever-changing number of needs and wants in both directions. Are Local Trucking Jobs A Smart Career Option? Being able to market oneself as a trucking professional is becoming a skill that sees much more value as time goes by. Many drivers are beginning to think in the long term rather than living in the moment. Those who operate in Florida may someday find themselves primarily driving near the border of Canada- one never knows. A concern of some drivers is how their job history might appear to recruiters in the future, and establishing some level of consistency in their job history in order to appear as a viable candidate for future employment. Some may be concerned that a local job might not look as professional as a regional or long-haul position when applying for jobs down the line. There is no textbook answer for a right or wrong position in what one might list on their resume, nor is a local trucking job any less appealing to a hiring manager than other positions. What is important is the level of work that one completed at a trucking company as well as the parting sentiment that a boss or driving manager might have for an employee. No company will look down on a trucker simply because they took local routes that likely worked better for their lifestyle and needs – and if a company does, perhaps that is a red flag that should be addressed during the hiring process. If a job is with a respectable company that has a good reputation in the industry as well as one that affords a driver many opportunities to showcase their skills, it will benefit them in the long-term and help them find a career in commercial transportation. What Is The Future of Local Routes? Nowadays, it seems that the future of nearly anything in trucking is highly unpredictable. With the ELD Mandate and the fear of autonomous trucking that many drivers are currently facing, no one knows for certain what may be on the horizon. The future of local trucking jobs, however, may be easier to predict than other aspects of the industry. With the rise of an "instant gratification" culture and many younger and family-oriented drivers on the road, local routes are not going anywhere, and they will likely see several opportunities to come. Local routes may see some sort of evolution within the industry, with some positions offering a hybrid of runs, so to speak, with regional positions as well as local positions being combined into one lane. In other words, companies that may have been explicitly OTR or regional in the past may add regional options to their shipping services and their job offerings in order to acculturate more drivers and shippers alike. Another change that the industry may see in regards to local driving lanes is the idea that with more Local Trucking Jobs is an overall focus from the industry that shifts to a perspective that is more understanding about the personal lives of truckers and helping them strike a positive work-life balance. While many drivers still consider themselves outlaws in the cab or kings of the road, the idea that is it necessary for the trucking industry to be a solitary industry is changing. Companies do not have to punish their drivers nor is trucking an entirely miserable and unforgiving profession as it might have been in the past. Companies today have resources that ensure drivers are happy, healthy and driving safely, and for some companies it is very important to see that all drivers feel fulfilled in their time spent off the road. Local jobs can help move this fulfillment along, and in some cases, may foster more safety and happiness on the road altogether. The trucking industry seems largely complicit in helping local jobs have their chance to make an impact with drivers and the changing face of consumerism. Going local doesn't mean that a driver is copping out of a more traditionally difficult run, it simply means that one is fulfilling another necessary need within the world of driving. There is no right or wrong way to truck in terms of the route one chooses, so long as one chooses a route that is a smart career option and one that allows them to demonstrate safety at all times when they are behind the wheel.